How Will Autonomous Driving Influence Mobility? 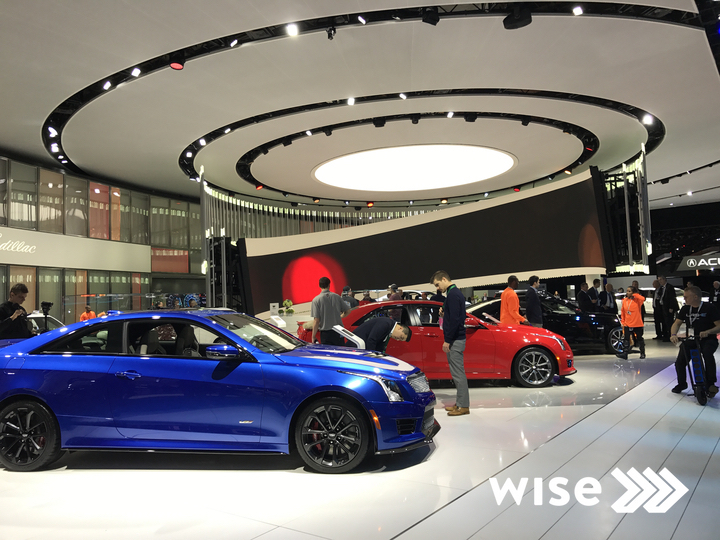 The Wise team recently attended one of the key auto industry events of the year, the Automobili-D event at the North American International Auto Show in Detroit. In addition to featuring the much-anticipated lineup of new 2018 vehicles, the event put a spotlight on key topics around the future of mobility and automotive technology. This year, there was a big focus on autonomy and smart cities, including how transportation is evolving. One of the key conversations happened on the panel, How Autonomous Driving and Infrastructure Changes Will Influence Mobility. Hosted by Irina Sigalovsky of the MIT Office of Corporate Relations, the session featured Wise Systems co-founder and head of technology, Ali Kamil, as well as Alex Gruzen, CEO of WiTricity, which builds wireless charging stations for electric vehicles, and Mike Stanley, the CEO of Transit X, which develops automated solar-powered transportation pods that are elevated above roadways. In a fast-paced conversation, the panelists explored the ways in which key aspects of infrastructure are crucial to the development of Autonomous Vehicles (AVs). WiTricity’s Gruzen outlined the necessary connection between autonomy and the development of electric vehicles. He highlighted that since a car can’t easily plug itself in, that without widespread availability of wireless charging solutions, autonomous fleets will not have the range and independence to be as effective as possible. Mike Stanley of Transit X was skeptical of the ability of AVs alone to solve one of the largest challenges of road transportation: congestion. He suggested that the principles of autonomous vehicles can be applied to creating alternative roadways and smaller vehicles that can dramatically increase the capacity of our infrastructure to handle our transportation needs. Irina Sigalovsky, Mike Stanley, Alex Gruzen, and Ali Kamil on stage at NAIAS 2018. Kamil’s focus was on AVs and the logistics industry, and the crucial roles that drivers serve — beyond simply driving from Point A to Point B. For most companies, drivers handle a number of important tasks by representing their brand and serving as front-line salespeople, merchandisers, and partners to their customers. Drivers also have knowledge and expertise that is not being accounted for in current AV and corollary technologies. For example, there are a number of complexities to getting in and out of customer locations especially in urban areas. Parking, navigating loading docks, and knowing where and how to place products inside stores requires an expertise that has not been sufficiently recognized and valued to date. With a significant driver shortage in the United States, there is lots of anticipation about how much AVs will influence trucking. But, from our perspective, AV technology will need to account for the importance of drivers and the unique work they do if it is to be widely adopted in the logistics industry. And, although their roles will change, drivers will likely continue to have an influence even as their vehicles become more and more autonomous. All of the panelists echoed the belief that autonomy is inevitable, but remind us of all the practical realities of how AVs will need to fit into the economy and all of the additional infrastructure and support that will be needed to ensure that they are successful.